Ideally situated with easy access to local shops and schools, local buses and with good road access to the city centre and motorways. DIRECTIONS From Western Way take Blackboy Road from the roundabout towards Pinhoe and Broadclyst. This becomes Pinhoe Road, follow the road past the parade of shops and the turn right into Vaughan Road and the property will be found on the left hand side just before the green area and the mini roundabout. A deceptively spacious family home with two separate reception rooms and two good sized double bedrooms and an additional loft room. Sitting room and separate dining room. 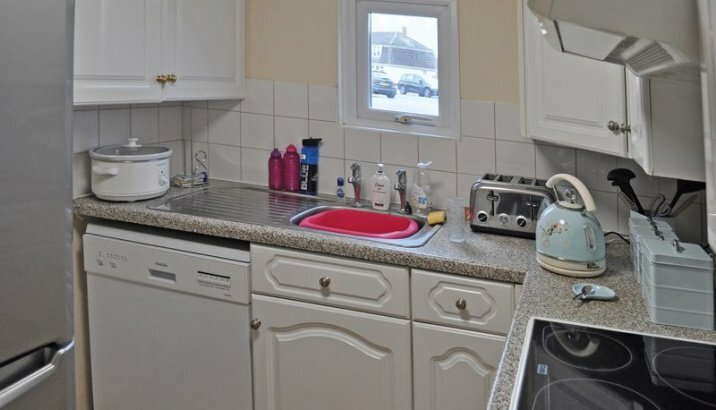 Kitchen with separate utility area. 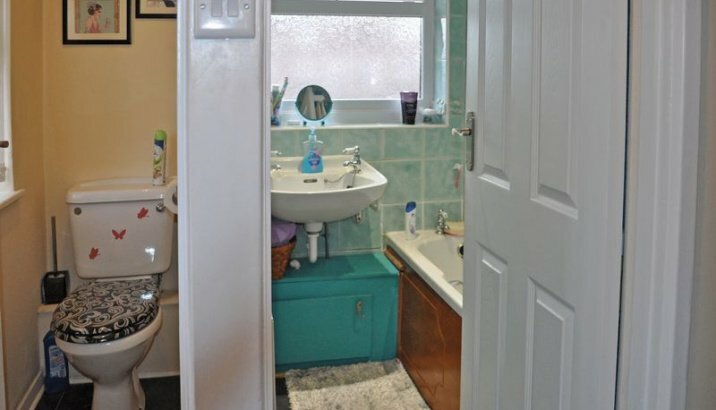 Family bathroom and separate WC. Set on a good size corner plot with scope for improvement (subject to planning). 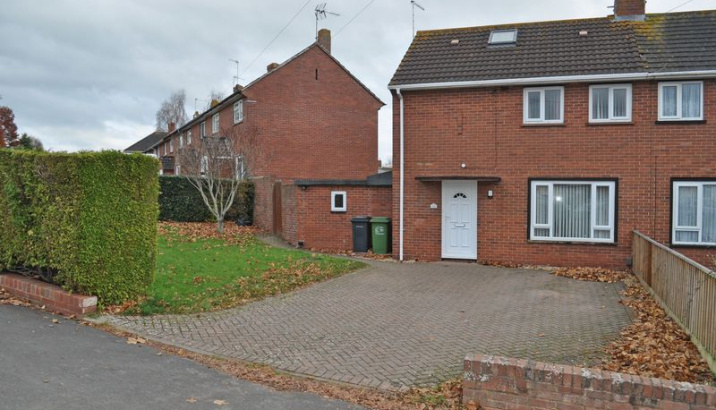 Large paved driveway with space for several cars, lawned area to the side with mature hedging. Rear garden with two storage sheds, a large paved area and raised graveled area for easy maintenance with lots of room for a trampoline and garden furniture for summer BBQ's. 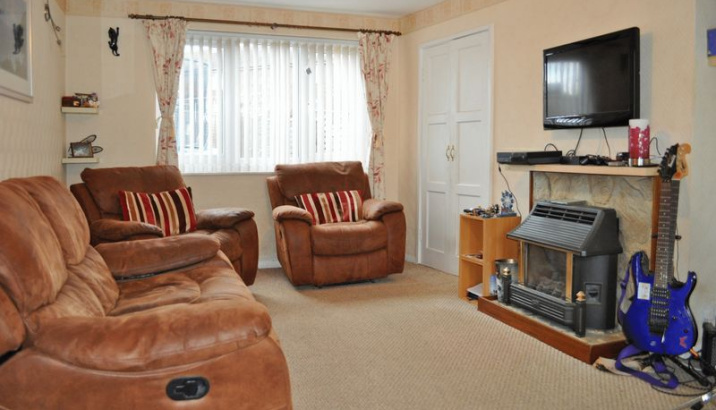 A lovely double aspect family room with windows to the front and to the back. Living Flame effect gas fire with a stone fireplace surround. Built-in storage cupboard. Radiator. With worktop and plumbing for washing machine and space for tumble dryer. Door to rear garden. With white gloss wall and base units with lots of storage and granite effect worktops. Built-in electric hob and oven. Plumbing for dishwasher and space for freestanding fridge/freezer. Radiator. With white WC. Radiator. Window. 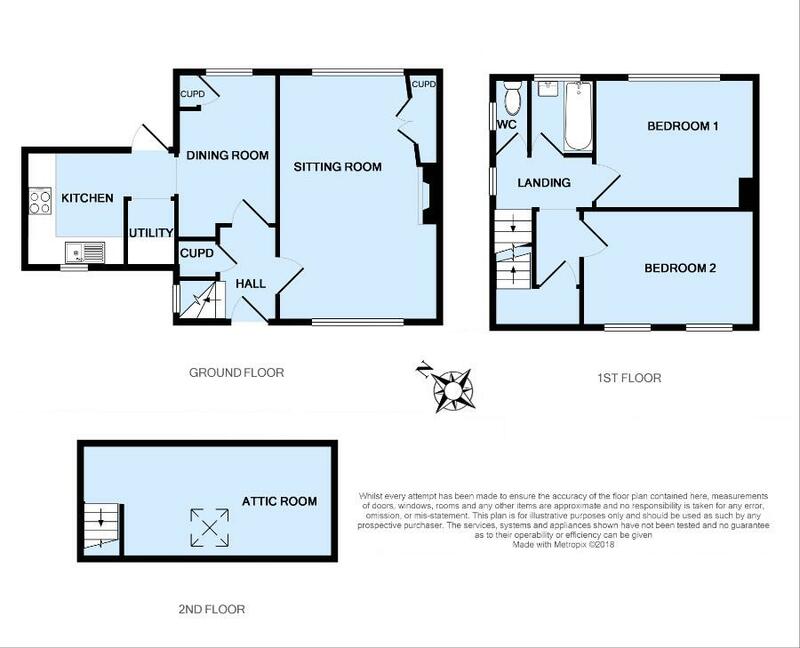 Fully tiled and has a white suite comprising wash hand basin and bath with electric Mira Sport shower over. Radiator. Obscure glass window to the rear. A good sized double bedroom with window overlooking the rear garden and with room for large wardrobes along the far wall. Radiator. 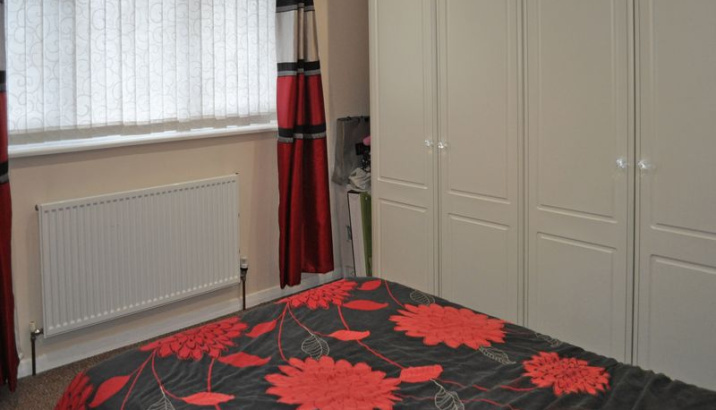 Another good sized double bedroom with two windows overlooking the front of the property. Radiator. 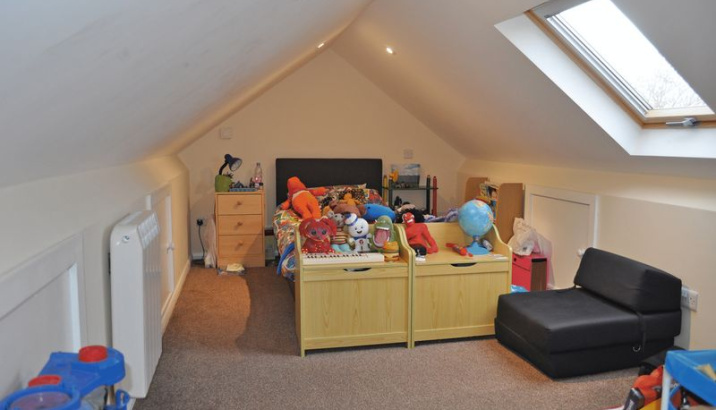 With Velux window and doors to eaves storage cupboards. Electric wall heater. Restricted head height (1.81m max.). Paved driveway for several cars and large lawned area to the side. 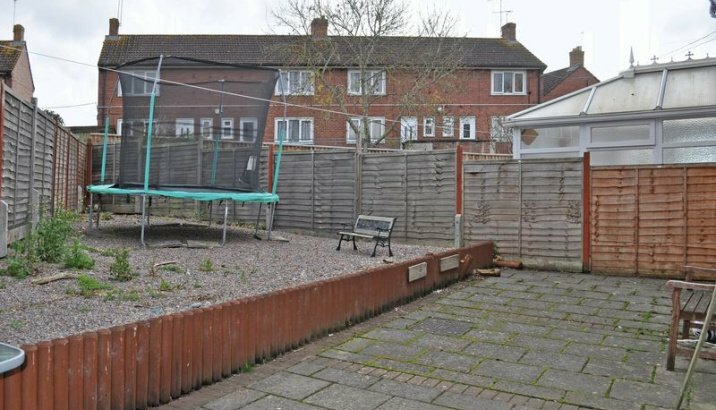 Rear garden with two storage sheds, a large paved area and raised gravelled area for easy maintenance with lots of room for a trampoline and garden furniture for summer BBQ's.